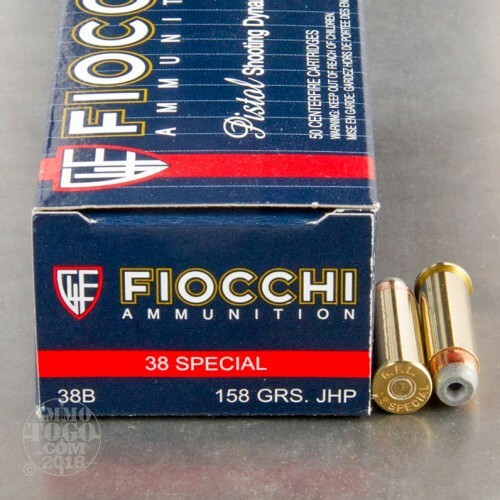 This .38 Special ammunition from Fiocchi can be used for short-range hunting, target shooting, and self-defense. 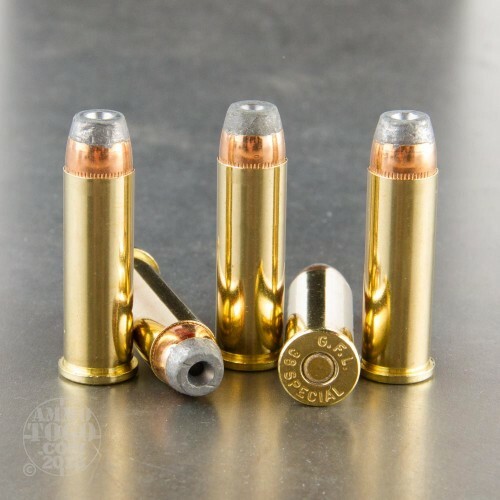 Each cartridge in this 50-round box fires a 158 grain jacketed hollow point bullet at 850 fps, producing good accuracy and relatively low recoil. The flat nose of the hollow point projectile lends itself well to target shooting, as it acts like a semi-wadcutter; it also feeds safely in the tubular magazines of lever-action rifles. 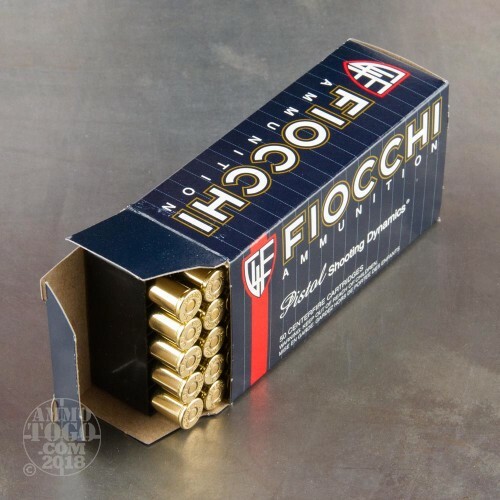 Fiocchi ammo is loaded in both the US and Italy and uses non-corrosive Boxer primers and brass cases. As you hunt for the best self-defense 38 Special ammo, we thought you might enjoy seeing the results of some testing we recently conducted with calibrated Clear Ballistics gelatin. We shot five of these Fiocchi Ammunition rounds through a four-layer cloth barrier using a S&W 640. The results are detailed in the video you see above as well as the photographs. 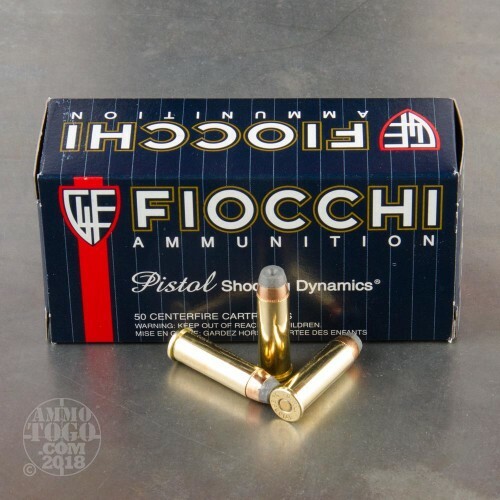 Through the charts, you should get a great idea how this Fiocchi Ammunition ammo stacked up relative to other 38 Special ammo products available to American shooters. To get a better sense of our tests, be sure to check out all the protocols we followed when conducting our tests to determine the best self-defense ammo. How do the results for this Fiocchi Ammunition 38 Special compare to other 38 SPECIAL? Penetration Depth Compared to 38 Special Tested 0" 10" 20" 30" MIN 9.5" MEDIAN 14.7" THIS AMMO 14.7" MAX 30.3"